Just Breathe blogging. : Shandali Stickyfiber Hot Yoga Towel Review! Shandali Stickyfiber Hot Yoga Towel Review! Hello everyone! 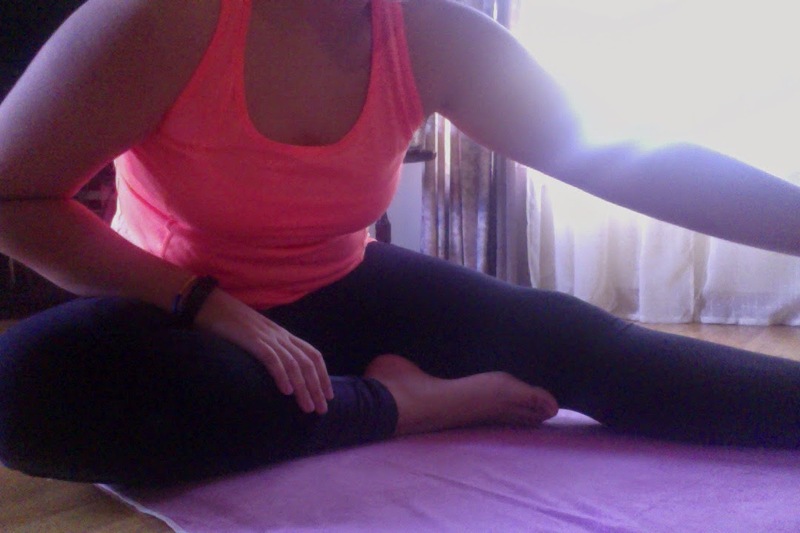 Today I have the awesome opportunity to review the Shandali Stickyfiber Hot Yoga Towel. I have been practicing yoga for a few years now, never anything serious, just for relaxation and stretching. Unless you actually practice yoga, you would never really understand how much you really do sweat! There have been times that my entire mat becomes soaking wet and has puddles on it from how hard my body was pushing itself, not to mention if it was hot yoga. Also, even if you are performing relaxation yoga and don't end up drenching your mat, you do end up with a little bit of sweat on your forehead which can run into your eyes, and trust me, that REALLY burns. Carrying around a yoga mat and a towel and a change of clothes can be a nuisance but I am excited to try a towel that actually just rolls onto my mat and stays put. 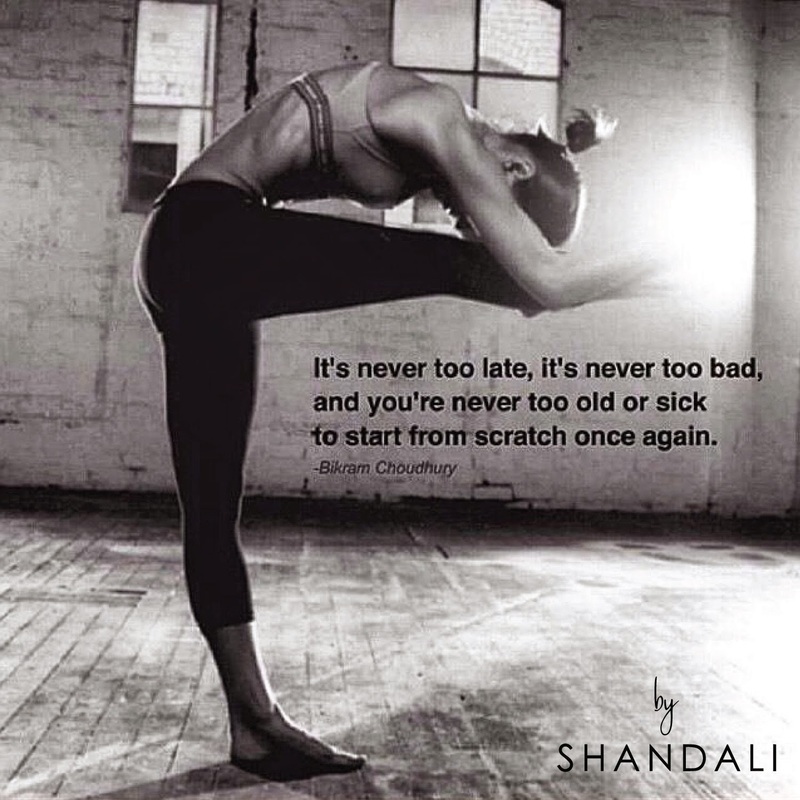 The Shandali Stickyfiber Hot Yoga Towel is meant to stay dry and keep you from slipping around on your mat. I don't know about you but I have slipped and fallen face first onto the ground while going into downward dog. It is ultra-absorbent and quick drying to soak up more sweat and moisture than any other yoga towel! It quick drys in minutes, just hang and dry. It is lightweight and easy to carry, you can also use it at the gym, pool, beach, or any other sweaty activity. The Stickyfiber towel also extends the life of your yoga mat but creating a hygienic layer between you and the mat. 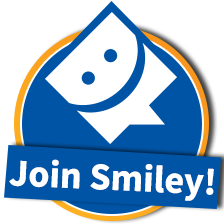 In case all of this doesn't make you happy, they do have a hassle free money back guarantee, if you aren't 100% happy within 30 days, just return your Shandali Sticky fiber Hot yoga towel for a no questions asked, full refund! 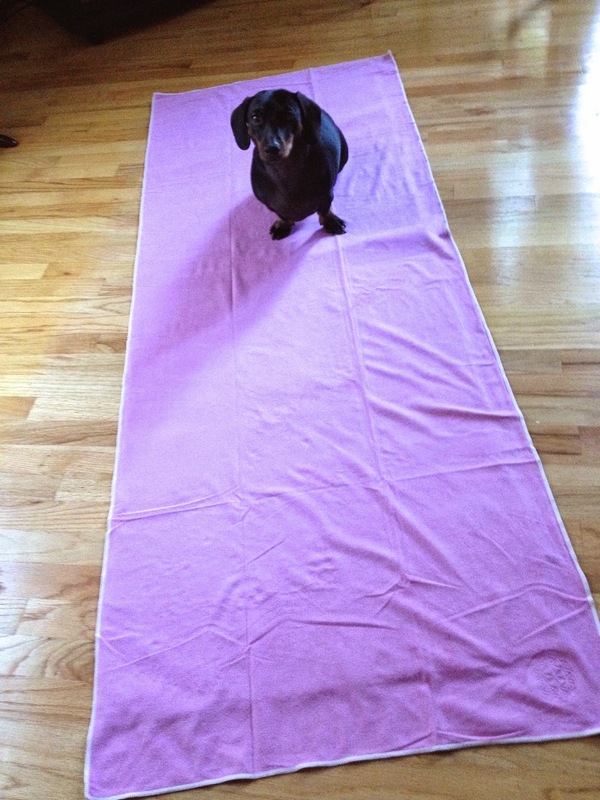 To prep your yoga mat, it is better to spray the mat with some water to help it adhere. Be careful if you have any dogs around because the towel is so soft, they might confuse it for a bed. (see above picture) I was really scared that the towel would move and slip so I went on cautiously but was surprised that it stayed on 100% and didn't budge. 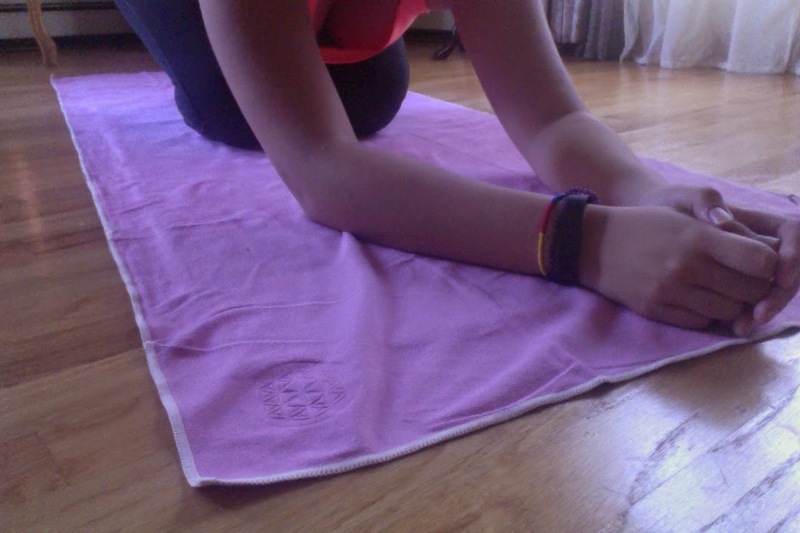 I did a full 45 minute yoga video on this towel and mat with no movement and it collected all the sweat! I never realized how annoying the sweat was until this towel wicked it away and I did not have to get up every 5 minutes to wipe my sweat off. Just to make sure about it not moving and keeping you safe, I decided to do a headstand and really put this towel to the test. It did not move and it was a lot softer on my head than the regular yoga mat. I could definitely see myself using this towel at the gym, at a pool, the beach, or even after the shower if I lose my regular towel. It dried in about 15 minutes just after I hung it and it was ready to reuse. As much as I was doubtful of this product working, thinking there was no way that this soft towel would stop me from slipping, it worked like a charm. There was nothing I could do on my yoga mat that would cause me to fall face first onto the ground. The Shandali Stickyfiber Hot Yoga towel also wicked away almost all the sweat from my body that fell onto the mat and didn't get in the way of my session. There is no way I am ever practicing yoga without this towel. I absolutely recommend this product to anyone who loves yoga, especially hot yoga! If you are interested in buying this awesome product click here. If you wanna check out their website to see all of their products, click here.